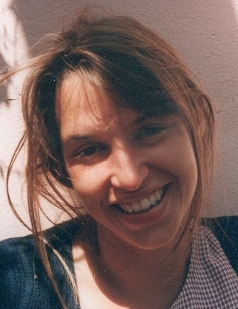 The Dominique Jacquin-Berdal Travel Grant was established by the International Relations Department at the LSE in memory of Dr Dominique Jacquin-Berdal who was a lecturer in the Department from 1999 until her death in 2006. She taught on nationalism and Africa as well as in the field of international relations theory. Her most well-known publication is Nationalism and Ethnicity in the Horn of Africa published in 2002. Her colleague James Mayall wrote an obituary in The Guardian, plus a longer piece in the IR Department journal Millennium. The annual grant of £2,500 is intended to support travel and living costs for IR Department students’ research in the fields of Africa, ethnicity and nationalism. 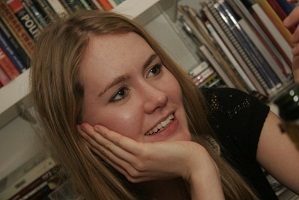 The 2012 grant holder is Emily Anderson and she gives her reactions, plus details of her project, below. Thesis title: Insurgencies, insecurity, and the statist process: the impact of civil warfare on taxation in Angola and Mozambique, 1975-2012. Emily’s PhD is a comparative study of the influence of war on state formation processes in postcolonial Angola and Mozambique. Her particular interest is in how the war economies that developed in each country have affected state capacity to collect revenues through taxation. Emily’s research analyses the impacts of insurgency warfare on resource mobilisation during the conflict, and the extent to which the political-economic dynamics that emerged as a result can account for post-war taxation processes. Despite broad recognition of the links between taxation and government legitimacy, accountability, and wider development, there have been few comparative studies of taxation in Africa, and very little research has addressed the relationship between conflict and tax in a postcolonial African setting. Emily’s thesis seeks to fill this specific gap and will present the results of extensive fieldwork and data collection from Mozambique, Angola, and Portugal. This entry was posted in departmental news and tagged awards, DJB award, student news. Bookmark the permalink.